Now in its second year, Dramboree owes its existence to the hard work of Whisky Squad bigwig Jason B. Standing and Johnny McMillan, sales manager for The Great Whisky Company. In keeping with Whisky Squad’s philosophy, Dramboree is run as near to cost as possible. It isn’t meant to generate a huge profit for the organisers, though Jason and Jonny may wonder at the wisdom of that decision at times. Which is not to say that Dramboree skimps on its programme. 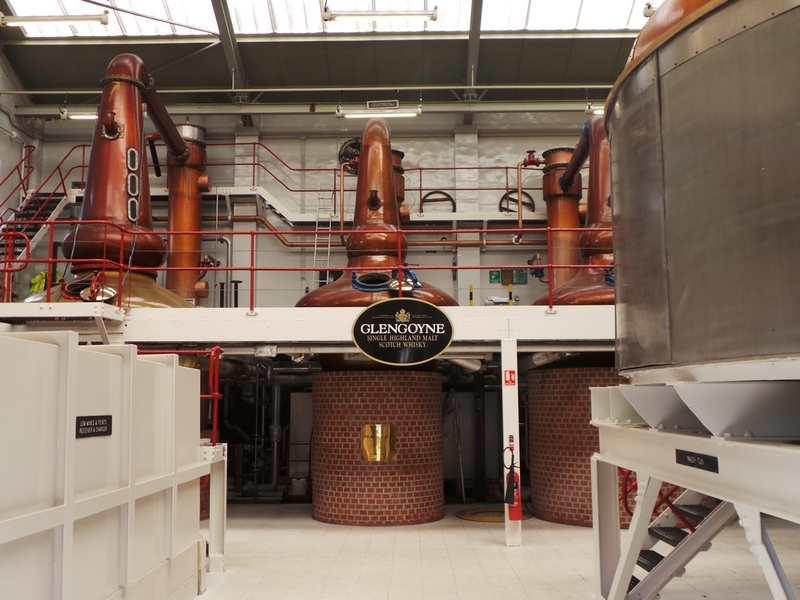 Far from it, as tutored tastings during the event from noted industry figures plus a trip to Glengoyne Distillery proved. 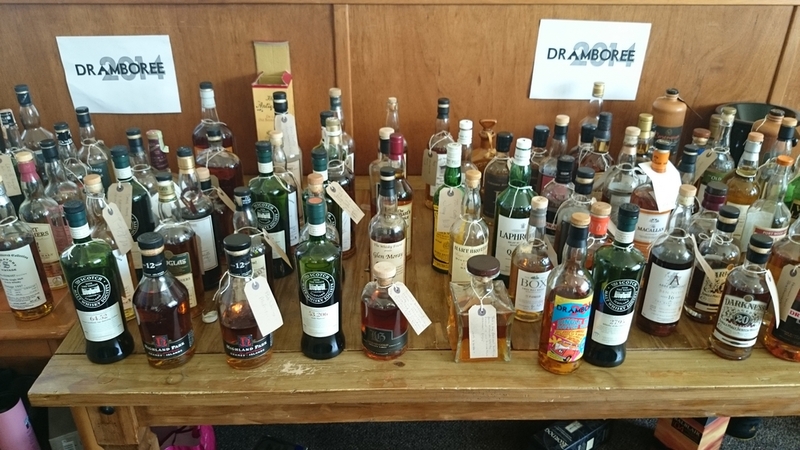 Presenters at Dramboree 2014 included Highland Park brand ambassador Daryl Haldane, The Whisky Shop Dufftown’s Mike Lord, independent whisky consultant and Whisky Belle, Annabel Meikle, Dewars’ global marketing manager, Stephen Marshall, and Angus McRaild of Whisky Online Auctions. It’s to the credit of Jason and Jonny that their own standings in the industry (groan…) are capable of attracting such folk. And though the opportunity for the presenters to show off their wares and/or knowledge to a roomful of enthusiasts mustn’t be ignored either, we’re a pretty fringe group among global whisky drinkers. Which only reinforces how fortunate we were to host them. It’s just a pity scheduling meant I couldn’t attend either Annabel’s or Angus’s sessions. Maybe next time. Either way, a big thank you to all. Anyway, a week on from the event, and having had time to mull over a splendid weekend and more than a few drams, what have I taken away from the experience? Primarily, that I’ve become far too much of a whisky “tourist” (and not in the literal sense, although on this occasion I was literally a whisky tourist, ironically), happy to sample just about anything but often with little real appreciation of what’s in my glass. Or at least not enough to achieve full satisfaction. I may be being hard on myself but I really need to refresh my knowledge of the water of life, especially that made in North Britain. I feel I’ve both forgotten much of what I used to know and largely failed to update what I still retain. Or at least in any detail. I know more than enough to get by but I don’t have the same idea of what to expect from a specific whisky as I do from a beer. I’ve been winging it too long. That needs to change. To some extent I’ve made a virtue out of this by telling myself I’m an enthusiast rather than a connoisseur (I’m the opposite with beer). But when I find myself confronted with a hundred-odd bottles assembled on the Dramboree bottle table, many of which I have no real knowledge of, I know that’s an excuse. With not enough time or capacity to sample the lot I found myself taking a frequently uninformed approach to selecting what to try next, defaulting to names I knew and no doubt missing out on a few gems because of it. Time to up my game, though I don’t intend to (or think I could) become a walking whiskypedia. I’ve also decided that I need to finish off some long-opened bottles of whisky in my personal hoard before they lose whatever vitality they might still possess. This may prove harder. I largely gave up drinking whisky at home some years ago, mainly as a result of trying to moderate my alcohol intake and having very little room left once my regular dose of beer is taken into account. Still, my current state of redundancy (from employment rather than an existential standpoint) should help here. Indeed, I’m inclined to use it as an opportunity to deepen my familiarity with specific distilleries and bottlings in my collection by going through them one by one and draining them over a week or two rather than my more usual random mixing and matching. Imprinting individual flavour stamps on my brain should also help with my previously stated objective. * Some folk are truly obsessed with Scotch whisky and their knowledge can be mind-boggling. This wasn’t a surprise but it hadn’t really been written quite so large for me before Dramboree, not even at events such as TWE Whisky Show. As I said above, it’s not my intention to emulate these folks but a bit more nous on my part would certainly help lubricate conversations with them. * Those same Scotch whisky aficionados don’t always have much interest in or knowledge of other classic whisky nations and even less in new wave distillers from the outer reaches, though there are exceptions. This isn’t an issue, more an observation, and perhaps not surprising given our location and the implicit emphasis of the event. That said, I can’t help feeling that those folks are missing out, whether through lack of interest, knowledge or – perhaps on occasion – prejudice. Maybe I need to go to a bourbon festival in the States to find out whether a reversed bias is in operation. * Speaking of things American, I desperately need to seek out more authentic barbecue before I start a (very necessary) diet. Thanks to The Master of Malt for providing some spectacular nosebag at Dramboree. I forgot to ask which regional US barbecue variant we were sampling, if any, but it was a great feed. 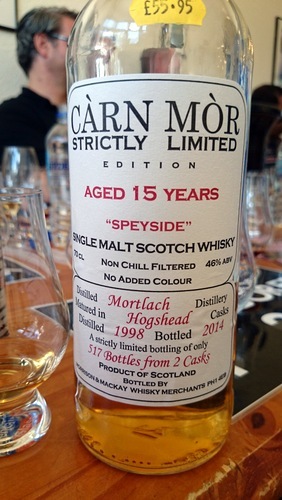 * Mortlach is a great whisky and one I’d overlooked until now. Thanks to Mike Lord for showing me the way and also for reminding me of Glenfarclas’ star quality. I’ll be returning to both before too long but probably won’t be seeking out the Singleton of Dufftown’s Sunray again. * Caol Ila is about the most divisive whisky I know of. Leaving aside those tipplers who don’t enjoy peated whiskies, full stop, Caol Ila seems to be an extremely polarising distillery with a fair few Dramboreers expressing a considerable dislike of the spirit while many others raved about it. Granted it’s no Ardbeg, Lagavulin or Laphroaig but I’ve usually found it worth sampling even if it rarely offers an epiphany. Perhaps there’s just too much of it these days and too many mediocre independent bottlings. * Whisky Bible author Jim Murray isn’t a universally popular man among either whisky insiders or whisky aficionados. To be fair I already knew this (he’s especially known for his dislike of perceived sulphur in whisky, whether real or not) but it was surprising just how often his name came up throughout the weekend and rarely positively. For myself, I have Mr. Murray to thank for my interest in the little water. Albeit through a £3 remaindered copy of his The Complete Guide to Whisky from a bargain bookshop back in about 1997 that he would have been lucky to have made ten pence from. Respect nonetheless. * The Pot Still at 154 Hope Street, Glasgow is now officially one of my favourite pubs anywhere. 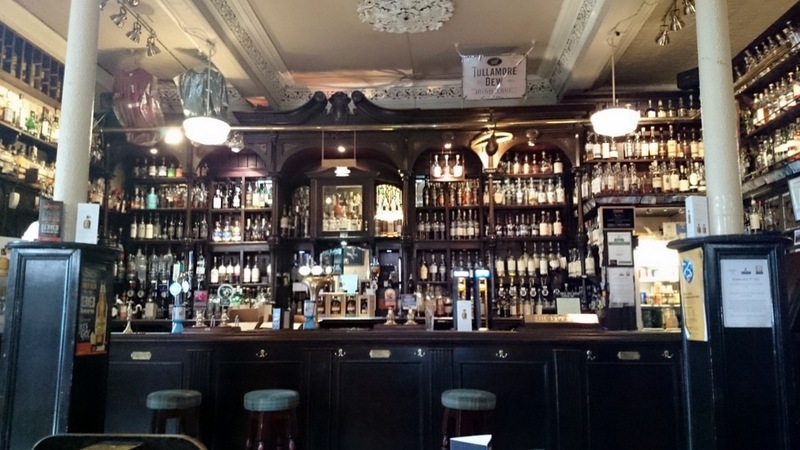 And not just because of the 300-plus whiskies (including several Sassenach specimens) displayed around the bar and sold at very reasonable prices. The decor and layout provide a near-perfect pub environment and the beer choice is good too (it amused me drinking Schlenkerla Rauchbier in the land of peat). I just wish it was nearer home. * I shouldn’t have volunteered myself for the snorer’s “engine room” out of benevolence for my fellow drinkers. As a fairly light sleeper I’m still suffering from sleep deprivation, though thankfully I don’t currently need to get up for work. 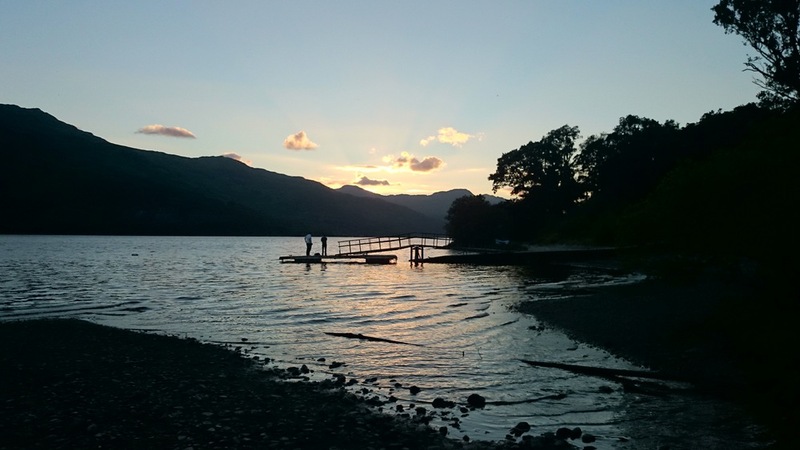 * I must also remember to take plenty of midge repellant next time I spend a weekend by a loch, although my discomfort was mild compared with some of my fellow dramologists. I hope the swellings have gone down now folks! * Finally, no amount of whisky can dampen acute lower back pain. Or persuade me to dook with the loonies. So that’s it for Dramboree 2014. I’ll definitely look to sign up for next year, assuming Jason and Jonny can find the energy to do it all again. Here’s hoping they do and that I keep my own whisky resolutions.